I don’t know about the you, but I haven’t been able to forget about the plastic in the Oceans after watching David Attenborough‘s Blue Planet show. It disgusts me what we have done to this planet and when I found out WWF-UK are starting a campaign today, on World Oceans Day, I couldn’t wait to find out more. The Mediterranean Sea is today one of the seas with the highest levels of plastic pollution in the world. It is just horrible to see all the plastic mounting up around us, effecting our ocean life and ours too! Why can’t we get rid of plastic? Surely there is something else in this world that can replace plastic? 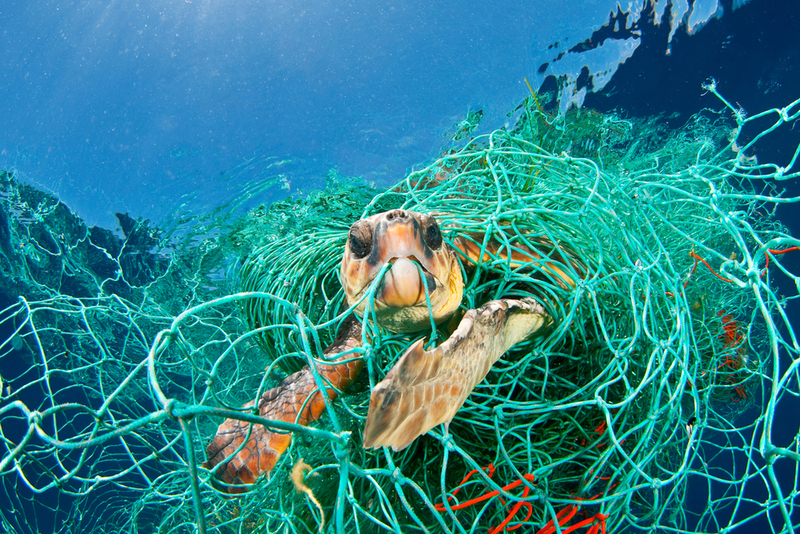 Large plastic pieces injure, suffocate and often kill marine animals, including protected and endangered species, such as sea turtles. But it is the microplastics, smaller and more insidious fragments that reach record levels in the Mediterranean Sea: the concentration of microplastics is almost four times higher than in the “plastic island” found in the North Pacific Ocean. By entering the food chain, these fragments not only threaten an increasing number of animal species, but also human health. Lyndsey Dodds, Head of Marine Policy for WWF-UK, said that a whopping 40% of the plastic that will be found in the Mediterranean this Summer will be from the tourists that visit. The plastic waste in the seas come from the plastic waste on the land. We need to find a way to tackle the full life cycle of products. We need a global and binding agreement to stop this pollution. I couldn’t agree more. Nobody wants to swim with plastics! Nobody wants to see our beautiful oceans filled with plastic islands and animals trapped in all the plastics. This pollution has to stop. I think, each and every one of us can do our bit to help keep the oceans clean. Make sure the plastics we do use are thrown in the bin, not tossed on the floor. Supermarkets can use paper bags, not plastic bags, America can do it – so why can’t we? Those wonderful inventors and big companies out there can find a way to get rid of plastics… there must be other options. Surely we would be better to pay a little more for something, than to kill our oceans. For when the oceans die, so does the human race! Bit dramatic, but it’s true. If you want to ask WWF-UK any questions or you have some fantastic ideas to stop this, I would love to hear them in the comments below or on social media: @mummyconstant. “Gin Lane” doesn’t sound too bad? Does it?